NEW BREW We will be resurrecting an old recipe for a beer formally called Squires Bitter, this new/old brew will be a traditional bitter and available in the new year, it will be around 4% ABV. 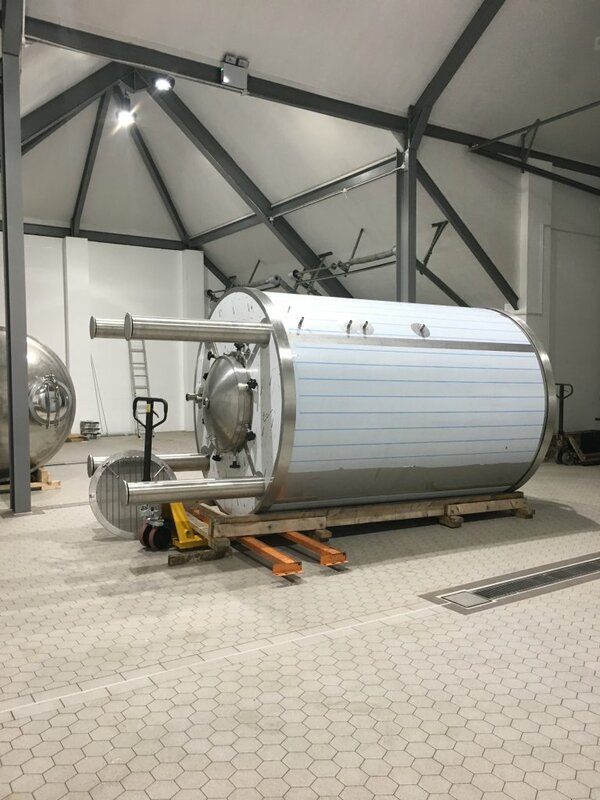 BREWERY TAP The Brewery Tap has a new manager, it has also been refurbished outside and the cellar has been completely overhauled with all new equipment and some new products have been introduced. The Tap October beer festival will be on for three days starting on 27th. The Suffolk Punch Comedy Club are appearing at the Tap on the first Wednesday of each month, several new and established comedians from far and wide performing at each meeting. The East of England Co-op will be stocking our Christmas beer Bar Humbug again this year. Further to this, we have just won 2 Silver awards and 1 Gold award at last weeks SIBA prize ceremony for Black Adder and Blackberry Porter! 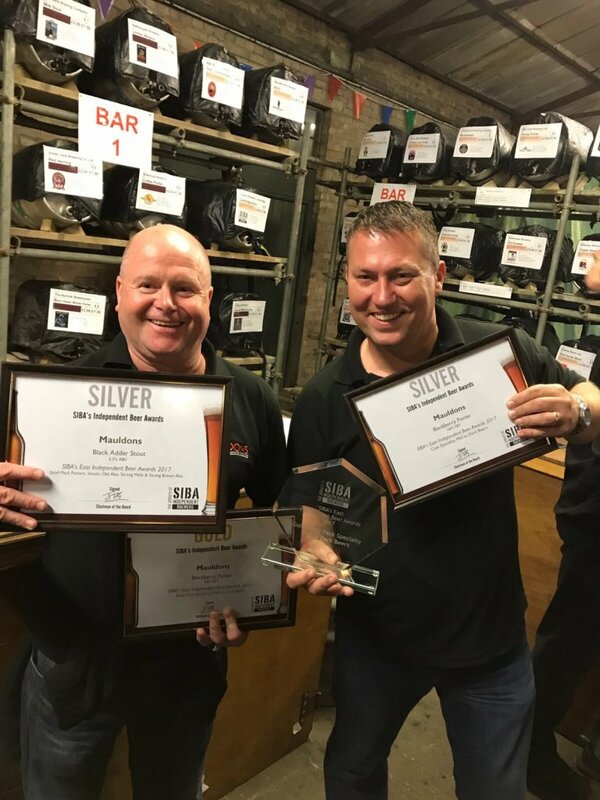 photo of Steve Birch Mauldons Head Brewer (Left) and Brewer James Vernon (Right) all smiles with their awards. When is a “New” brewery an “Old” brewery? The 1960s were known as “swinging” and “free love” was advocated but this era and the following two decades were dark days for that other kind of lover, the lover of real ales. These were decades when large national, or would be national brewers, rushed to acquire smaller regional brewers in order to grow their business by, as remains the case even today, increasing the number of tied pubs that came along with these acquisitions. These were also decades when foreign travel for the masses became more accessible and with it a taste for larger, sales of which rose steadily. The major brewers at this time were also producing their real ales via. 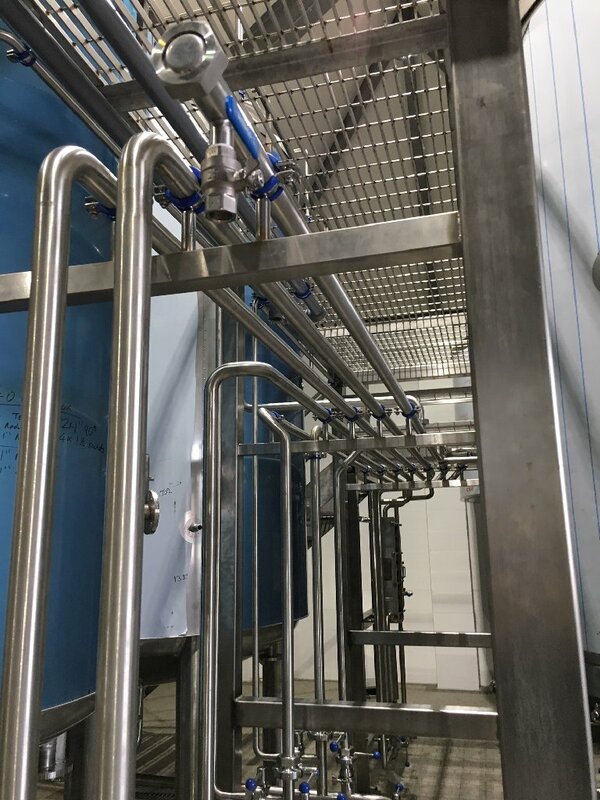 the Keg system where the beer is pasteurised to stop fermentation and served using carbon dioxide pumped into the beer. These were the days of the heavily promoted Double Diamond and Red Barrel brands both of which had a dominant position is East Anglia. It was into this desert for lovers of real ale that a new brewery started life when, in 1986, Nethergate opened its doors for the first time in Nethergate Street (hence the name) in the Suffolk village of Clare prettily located on the north bank of the River Stour which, as we shall see later, was to feature in the story of Nethergate to date. Right from the outset Nethergate set themselves apart from the big boys by experimenting with herbs such as Coriander in their recipes. Umbel Coriander Ale was one of the first outcomes of this approach. Remember this was in the days of Brown Ales and Keg Beers so, in their own way, Nethergate was helping to start a quiet revolution in the way real ales are brewed. Success quickly followed and over the years Nethergate has won many awards for their beers including Supreme Champion at the Chicago International Beer Festival and along the way also picking up prestigious awards from CAMRA and, in 2012, The Good Pub Guide also made Nethergate their Brewery of the Year. 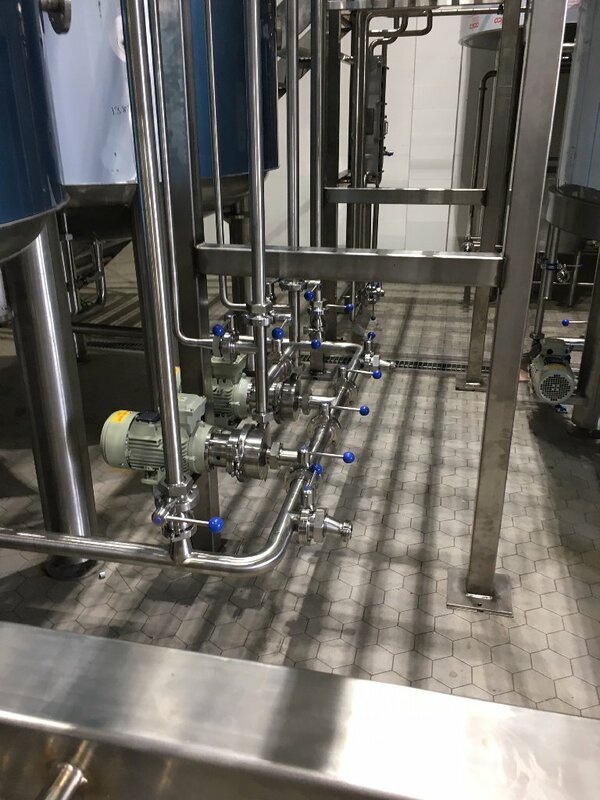 This success meant that the location in Clare was soon proving to be too small and a move to larger premises in Pentlow, this time on the south side of the River Stour in Essex, was made. Now thirty years since its formation Nethergate is once again on the move. This time the brewery is moving back to Suffolk again. 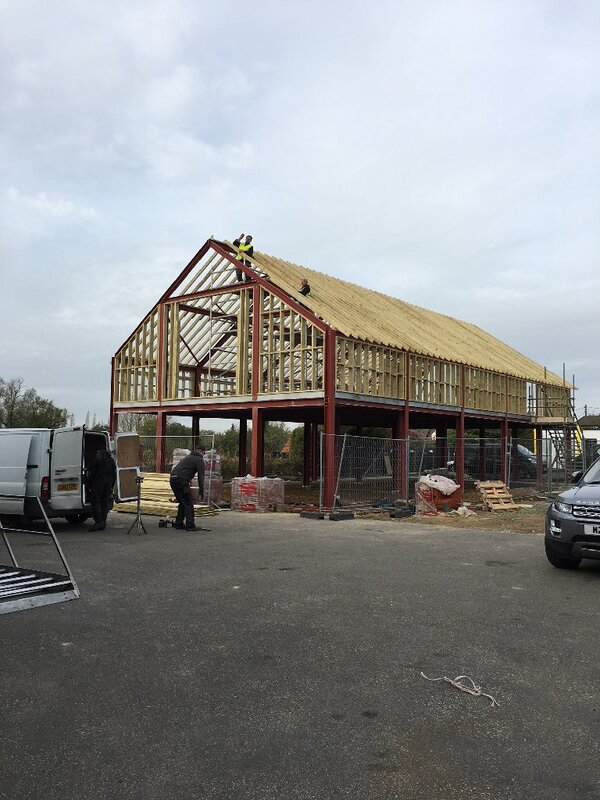 The new brewery building has a prominent and distinctive position beside the B1064 just to the south of the village of Long Melford at Rodbridge Corner, a location which should raise the breweries profile both with tourists and locals alike. Whilst I enjoyed a glass of their Augustinian Ale 4.5% ABV sitting at the Brewery Tap Bar in a corner of the newly opened shop facility I had a chat General Manager Rob Crawford. Rob explained that the latest move would mean that after years of renting, they now own their own premises which have allowed them to invest in spanking new brewing equipment which would, in turn, mean that the company would be able to develop new and exciting recipes to add to their already award winning range of beers. 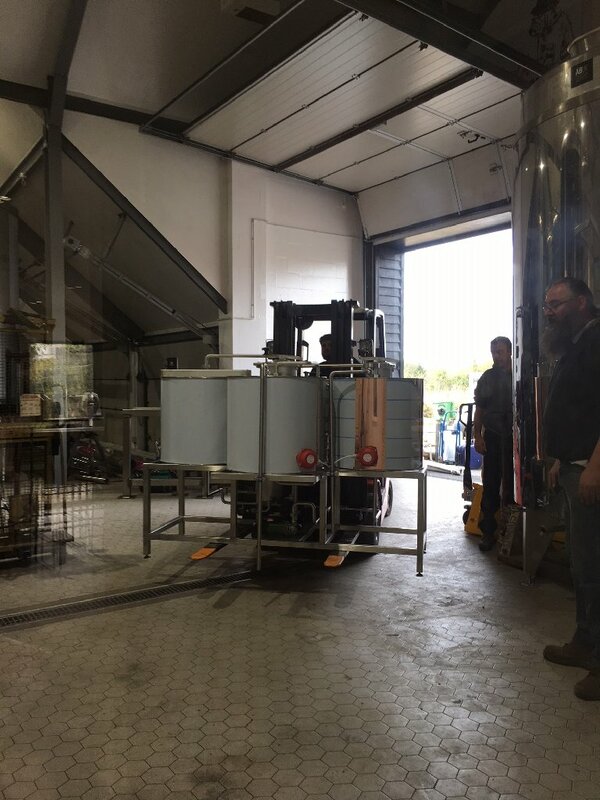 Rob said as things develop it is also intended that there will be an outdoor space behind the brewery where customers can sit and enjoy a beer overlooking the Suffolk countryside. 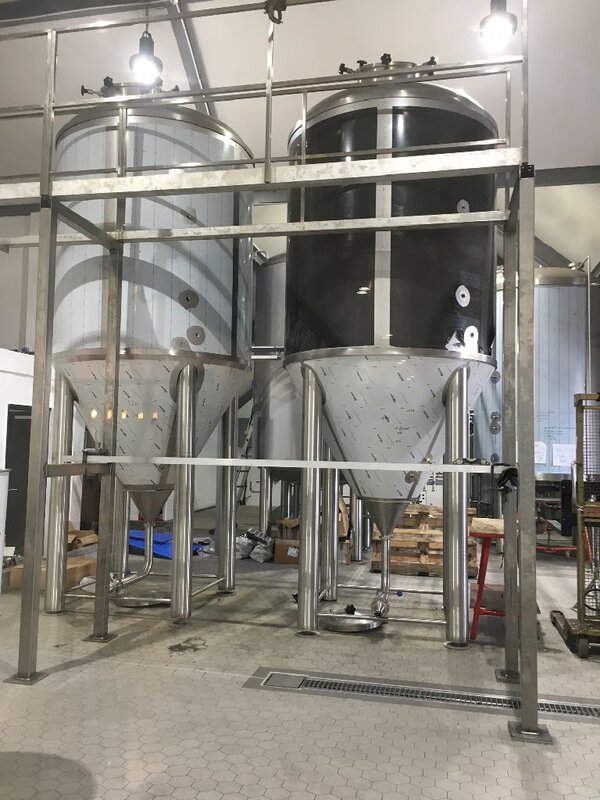 When it is up and running people will also be able to take a tour of the new brewery from specially installed gantries. Another benefit of the move meant that Nethergate would be able to reduce their environmental impact. 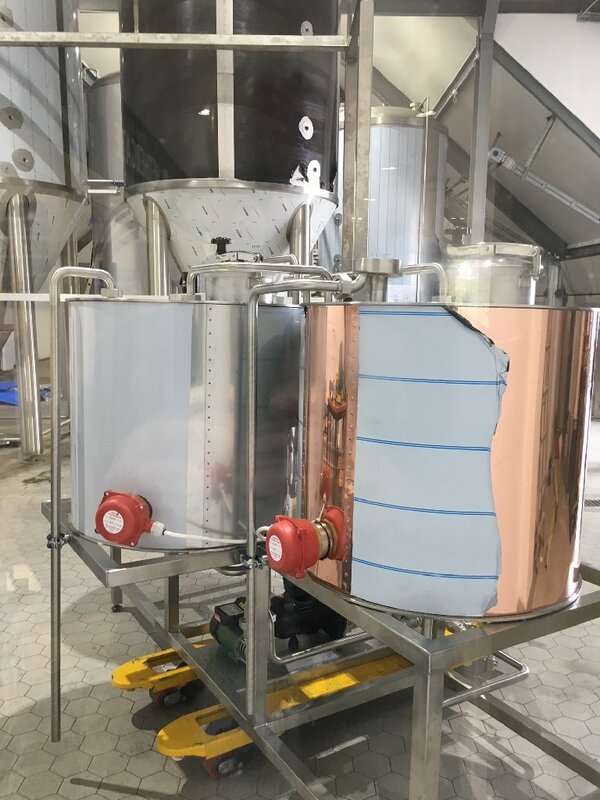 One way they will be able to do this will be by installing a grain silo at the new brewery which would mean they could store grain in bulk which would do away with thousands of plastic sacks in which the grain had been delivered up to now. From plastic hater me that is nice to hear. They also have plans to reduce their environmental impact by having a target of 90% of solid waste to be recycled. There are plans to have their hops and grains going to compost with plastics and cardboard to a recycling plant. They are also currently looking at ways to minimise their water consumption. Nethergate is eager to reduce the company’s impact on the environment. Rob said the move has also given Nethergate the opportunity to give their brand a refresh with the addition of the strap line “Stour Valley Brewery” which, as we have seen, is very apt as the successive moves have seen the brewery make its way down the Stour Valley from Clare, via Pentlow to Long Melford. So as we can see, Nethergate has been around for quite some time and has featured heavily in the development and progression of the craft ale market. 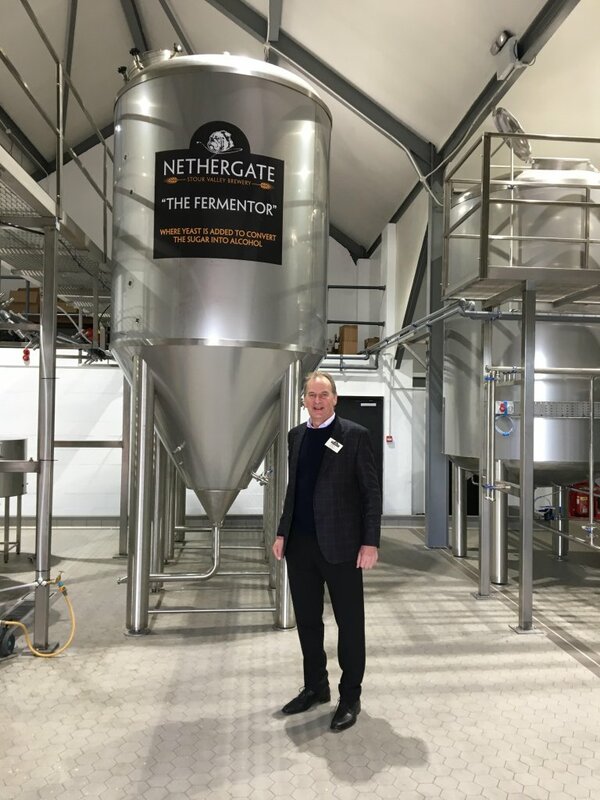 So to summarise, Nethergate is an old brewery (in modern terms) but is a new brewery in terms of their forward thinking attitude and their new site and equipment. Along the way Nethergate has established a reputation for distinctive and award winning beers and this latest move looks to ensure this old/new company will continue to make their mark on the brewing industry both locally and further afield. Watch this space for some of their up and coming developments!! They now have a great shop and visitor centre open at their new site in Rodbridge Corner, Long Melford, Sudbury, Suffolk, CO10 9HJ should you wish to try some of their products. What is Real Cider and Perry?